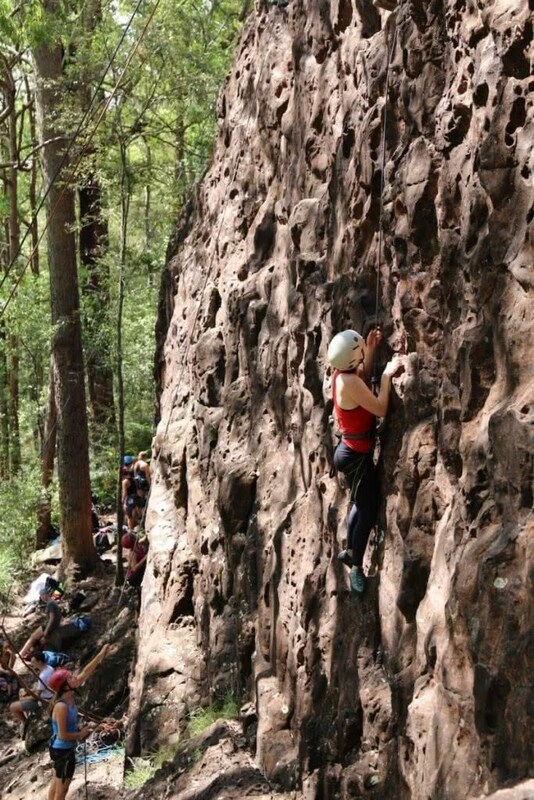 With the Glasshouse Mountains a short road trip away, Kangaroo Point Cliffs close to the city centre, and some good indoor climbing gyms, Brisbane is the perfect place to start your rock climbing adventures. 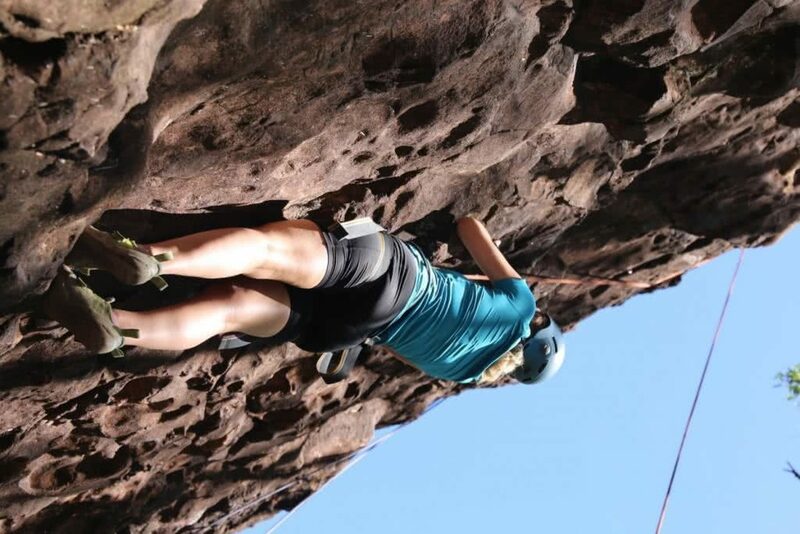 Here are some killer beginner climbing spots in Brisbane to check out. Having recently started indoor climbing, my goal for the new year was to start climbing outside. The thrill of feeling stronger every week, getting hung up on difficult problems, and always feeling like there’s more to climb is what makes climbing so addictive to me. So if you’re a newbie rock climber in Brisbane, where do you start? 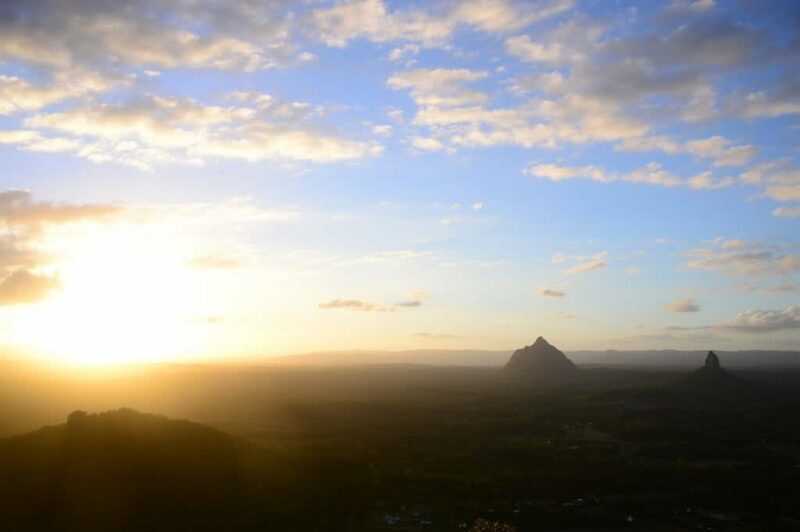 My first outdoor adventure took place at Mt Tibrogargan, in the Glasshouse Mountains. 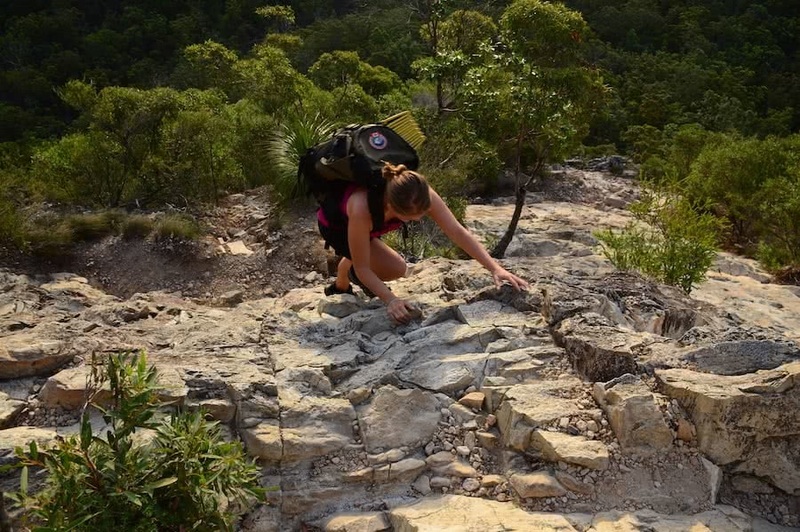 While Mt Tibro also offers proper rock climbing routes, I took the rock scrambling route (West Track, Hiking Class 5) as a gentle introduction. While this route doesn’t really classify as a rock climb, scrambling doesn’t have the protection of ropes – so take care with your footing and respect the mountain! 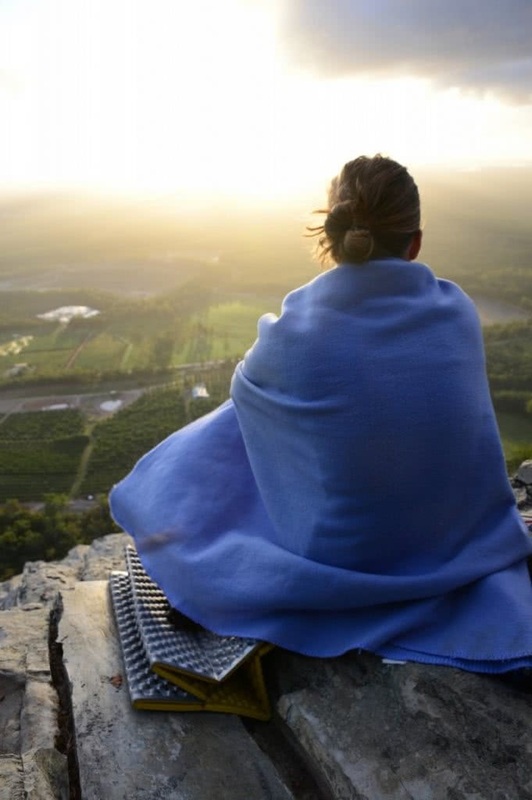 Don’t be pressured into summiting if you’re not comfortable and don’t feel bad that you’re not doing something harder! I went with a more experienced climber who spotted me and photographed the experience. We summited Mt Tibro with the warm and mellow sunset cloaking the nearby mountains. It’s a great ultra-beginner mountain to start with, and the views are panoramic and stunning. As a beginner rock climber in Brisbane you can’t go past the Kangaroo Point Cliffs. With a range of difficulty levels (grades 11-27) and the convenience of its location, Kangaroo Point cliffs are the envy of urban climbers everywhere. I joined my university Mountain Club who climb there twice weekly in the evening. Joining a club will allow you to put off having to fork out for your own gear for a while. Industrial lights illuminate your way on the cliffs at nighttime and you can take a break mid-climb to enjoy the sparkling sight of Brisbane at night. The latest of my beginner climbing spots in Brisbane was at Mt Ngungun (“Gun Gun” or “noo noo”). I tried my hand at several routes on the Andromeda Main Wall, with its wonderfully galactically named routes. I did my first outdoor grade 18 (Gravitational Equilibrium) and we even spotted a koala snoozing in a nearby tree! Andromeda is a perfect cliff for beginners with routes pretty well spread from 11 (Nebula) to 18 (Southern Cross, Gravitational Equilibrium, Worm Hole and Mars). Lead climbing is also possible at Andromeda.